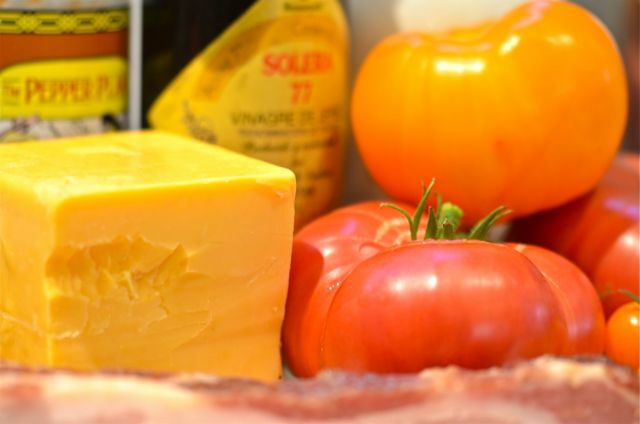 What You Get: A “meatier” tomato salad. 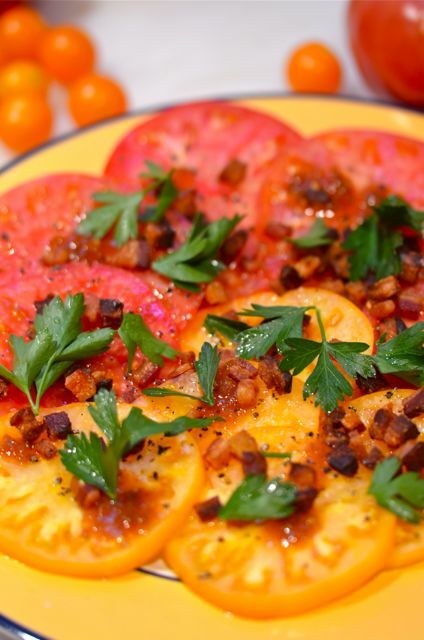 A great way to use end-of-season tomatoes. How Long: 10-15 minutes. About as long as it takes to brown the bacon. Place a medium skillet over medium heat. 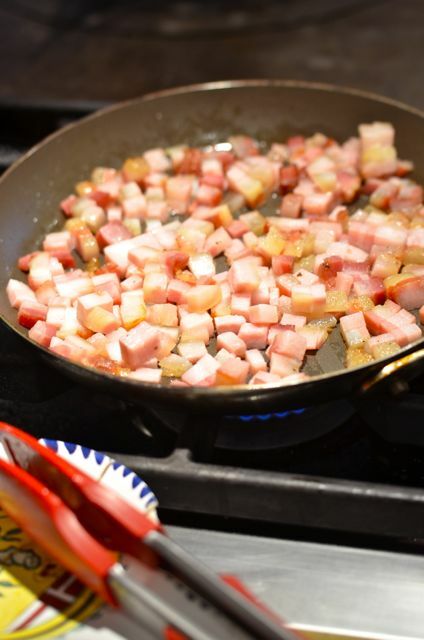 Add the diced bacon and cook until brown and crispy. 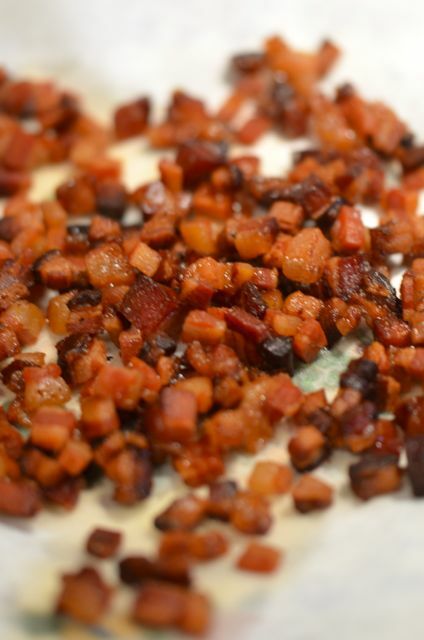 When done, remove the bacon from the pan and drain on paper towels or a rack. 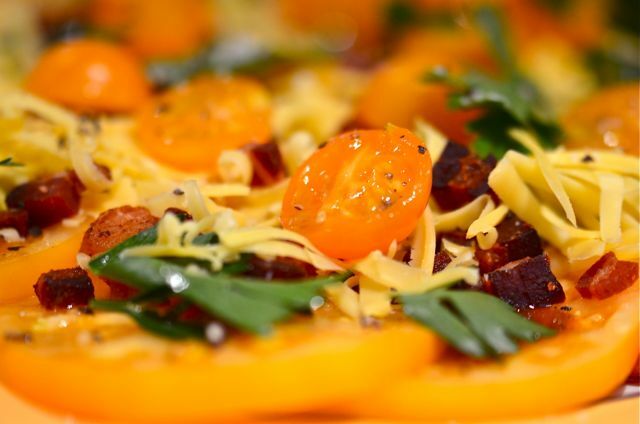 Meanwhile, slice the tomatoes and arrange on a serving plate. 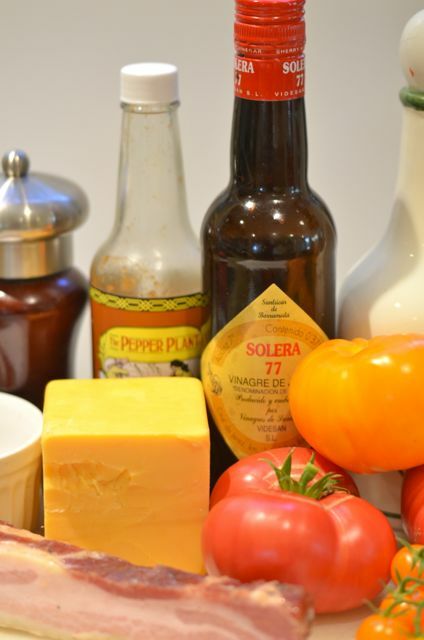 Drizzle the the oil, vinegar, salt, pepper and hot sauce, if using, on the tomatoes. Sprinkle on half of the bacon and parsley. 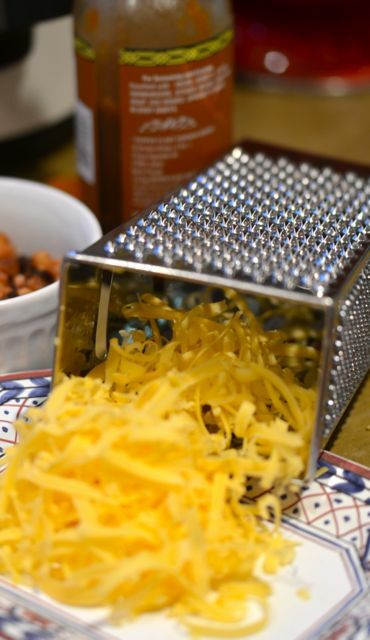 Grate the cheese and arrange over the tomatoes. Sprinkle on the remaining bacon and parsley. Serve. I think you’re cheating using the bacon and cheddar… You could put that on a car tire and I would try to take a bite! That’s true…but may as well use a tomato…. That looks so good! And easy to put together! Thanks! 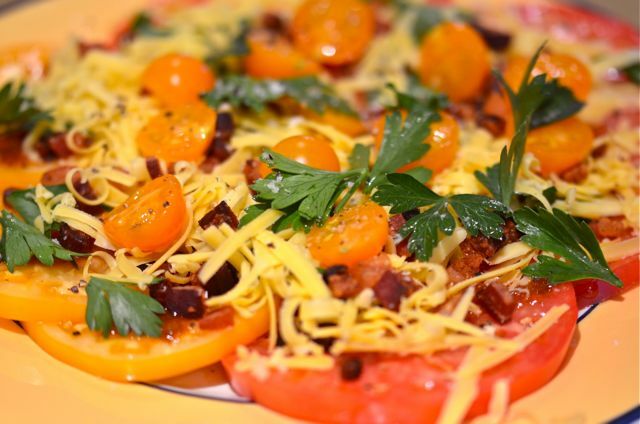 It is an easy way to use up those tomatoes!